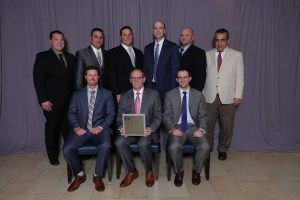 American Concrete Pavement Association has named the 2018 National Program Winners for the 29th annual “Excellence in Concrete Pavement” silver and gold Awards. Golden Triangle employees brought home the SILVER from Fort Lauderdale, FL in the “Overlays, Highways” category for our Chester Unbonded Concrete Overlay Project in Chester, WV. 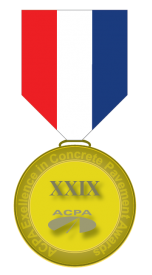 American Concrete Pavement Association has named the 2018 National Program Winners for the 29th annual “Excellence in Concrete Pavement” silver and gold Awards. 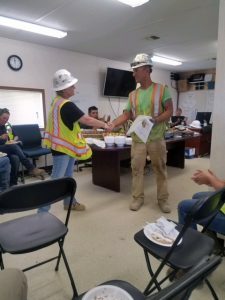 Golden Triangle employees brought home the GOLD from Fort Lauderdale, FL in the “Divided Highways- Rural” category for our US119 CoLine-Crossover Road project in Mt. Pleasant, PA.
Golden Triangle Superintendent Dan Bubenheim received the Nova Safety Awareness Award for his outstanding efforts in meeting/exceeding the 911th Airwing Project’s safety initiative. 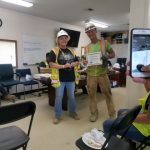 Leading by example, Dan has demonstrated that he is willing to place safety first; driving GTC’s safety culture forward. 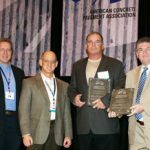 The Constructors Association of Western Pennsylvania was recognized during Associated General Contractors of America”s (AGC) 92nd Annual Convention in Las Vegas, Nevada. The Association was awarded the 2010 Chapter of the Year for its outstanding membership service in the areas of labor relations, workforce development, environmental regulatory issues and involvement in the local community. Constructors Association of Western Pennsylvania took “Small Chapter of the Year” for its outstanding workforce development initiatives, diesel retrofit program, promotion of joint training among the union apprenticeship programs, and its work in the community, including the CAWP Constructing Our Community Program, which provided over $25,000 in financial support to the Wounded Warriors Program as a token of gratitude to the brave men and women who were injured fighting to keep America safe. Aadland noted that CAWP had also found new and effective ways to communicate with its members, issuing e-newsletters and keeping its member companies up to date on local business and political developments. He added that the chapter distinguished itself for its ability to advocate on behalf of the construction community. 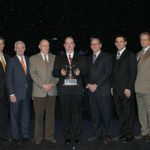 For 2010, the ACPA Lifetime Pavement Recognition award is presented to the Pennsylvania Department of Transportation and Golden Triangle Construction, Company for Interstate 79 in Pittsburgh, Pennsylvania. 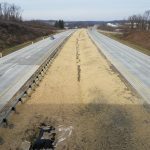 This Interstate highway section has demonstrated outstanding performance in providing more than 20 years of zero-maintenance service to road users, citizens and taxpayers of Pennsylvania. 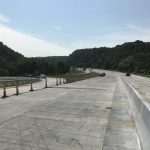 The concrete pavement has stood the test of time and is a testament to the durability and longevity of concrete and the importance of quality construction and design . The American Concrete Pavement Association is the national trade association for the concrete pavement industry. The primary mission of the ACPA is to create and maintain a strong national presence through dynamic, strategic leadership; effective technical expertise and resources; and persuasive advocacy on behalf of the concrete pavement industry. Founded in 1963, the American Concrete Pavement Association is headquartered in Chicago at 9450 Bryn Mawr Ave., Suite 150, Rosemont, IL 60018. Phone: 847.966.2272. The Association’s Washington, DC office is located at 500 New Jersey Ave., NW , 7th Floor, Washington, DC 20001. Phone: 202.638.2272. Visit our technical website at www.acpa.org. Visit our public website at www.pavements4life.com.